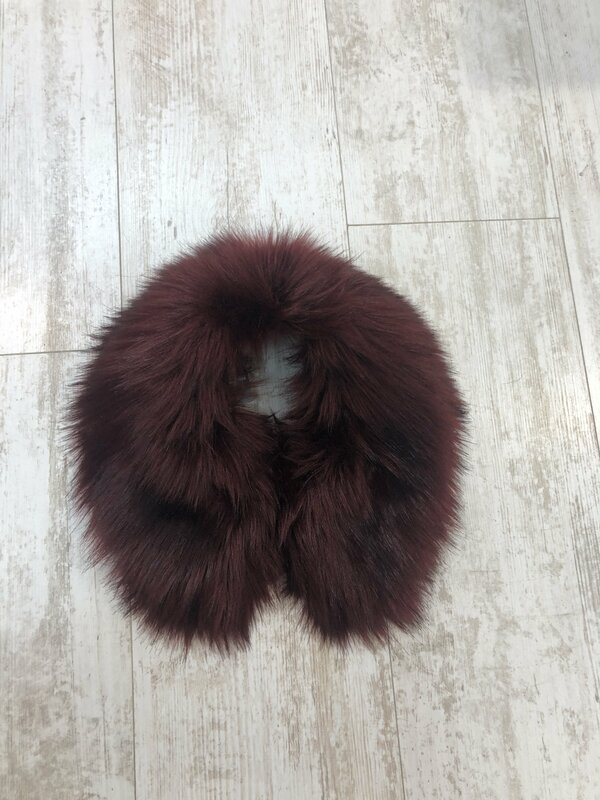 Transform your jackets, shirts or knitwear with this urban chic Burgundy faux fur shirt collar. 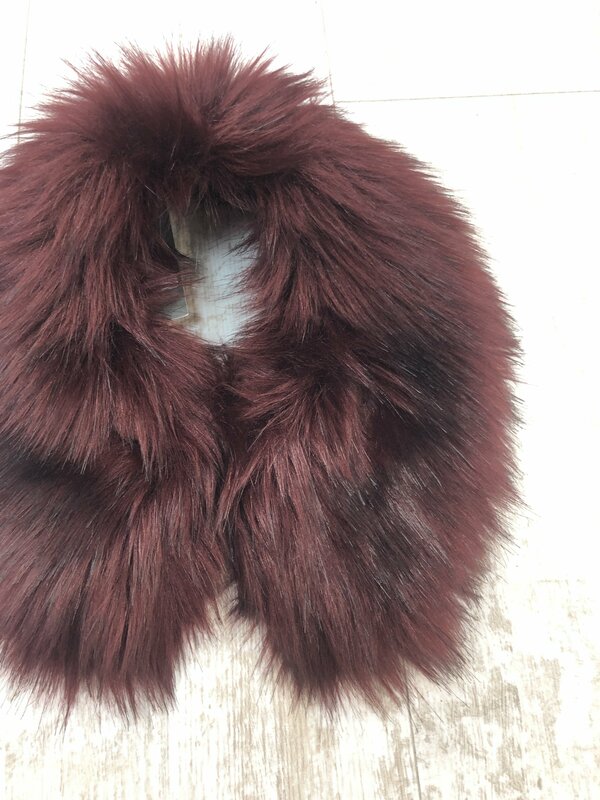 The collar fastens neatly with a loop and button, and has a black velvet lustre lining. A perfect colour for this season.